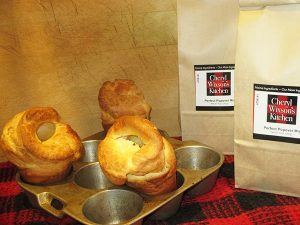 Treat your family and friends to fresh popovers! 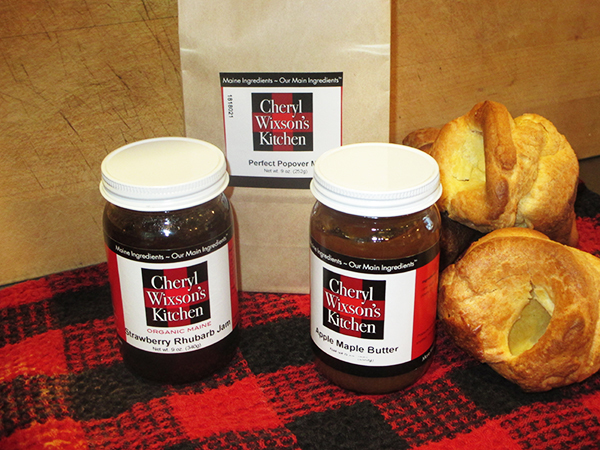 Our Perfect Popover and Jam Gift Set includes a bag of Perfect Popover Mix that bakes up 12 perfect popovers and your choice of 2 jars of our popular spreads. 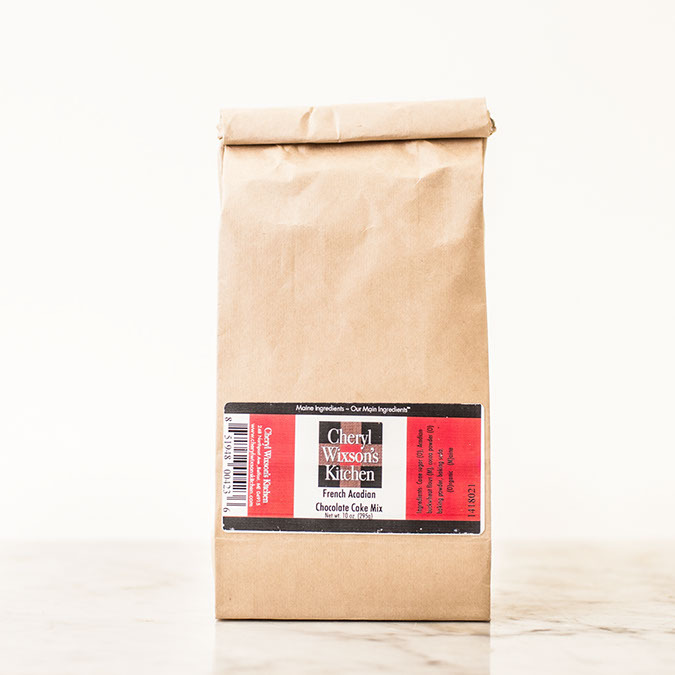 Our Perfect Popover Mix is made from Maine wheat, non-fat dry milk, and Maine sea salt. There are 2 packages in the bag. Each package, when combined with 2 eggs and 3/4 cup of water makes 6 perfect popovers. Sun-ripened strawberries and Rabbit Hill rhubarb are slowly simmered with organic cane sugar to make our Strawberry Rhubarb Jam. 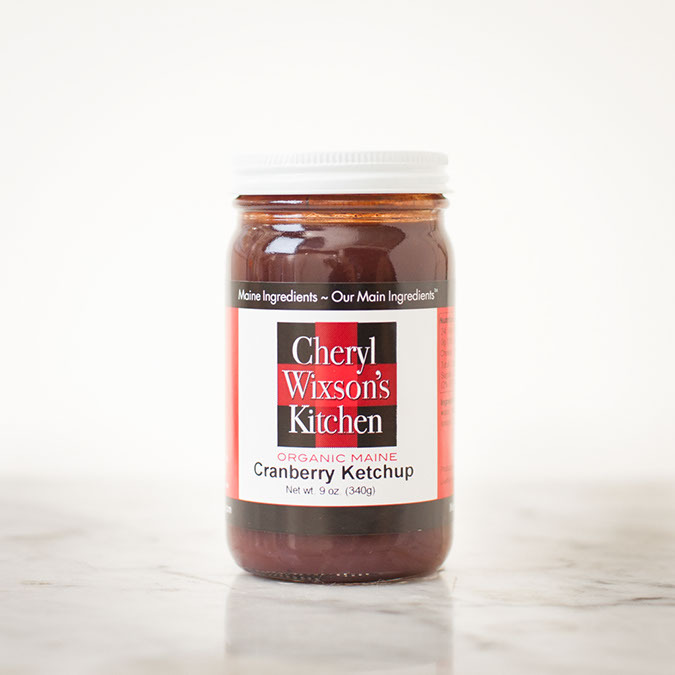 Because we don’t use pectin, the flavors are very intense and our jam tastes like fruit! The peaches for Spiced Peach Butter were grown on Five Star Orchard in Brooklin. We simmer peach puree slowly with organic whole spices and sugar. 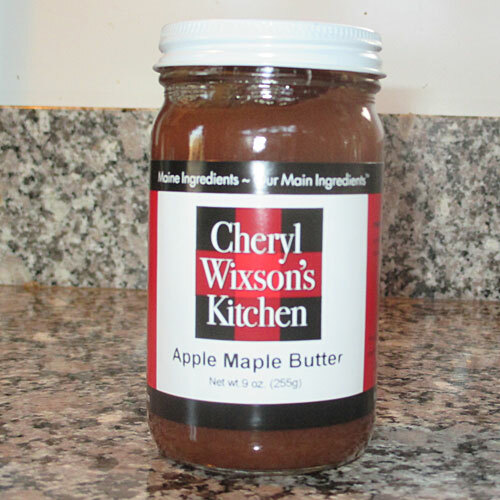 When enjoying Spiced Peach Butter, do beware of the whole spices that give it the perfect flavor. 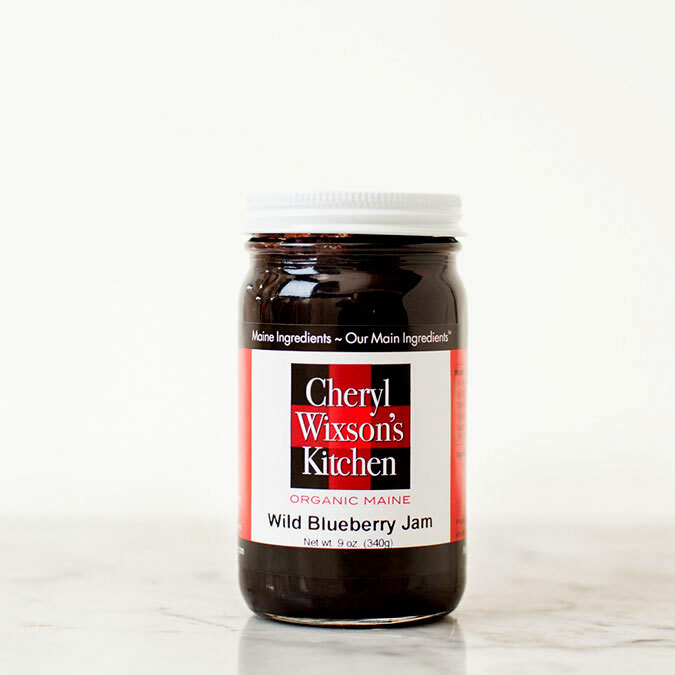 To prepare our organic Maine Wild Blueberry Jam we slowly simmered Peaked Mountain wild blueberries with organic cane sugar and a touch of pectin to make this intensely fruity jam.